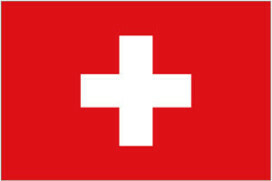 Every seventh bike sold in Switzerland in 2011 was an electric bicycle. In total 351,800 new bikes were sold, more or less the same number as in 2010. Once again, a strong Swiss franc obstructed consumer spending and further market growth, this also rang true for the bicycle industry. SOLOTHURN, Switzerland – Every seventh bike sold in Switzerland in 2011 was an electric bicycle. In total 351,800 new bikes were sold, more or less the same number as in 2010. Once again, a strong Swiss franc obstructed consumer spending and further market growth, this also rang true for the bicycle industry. With 35% market share mountain bikes are still ranking at the top of the bike sales charts. Nevertheless, at 125,000 units they remained 8.3% below last year’s volume. More momentum came into racing bikes, which increased by 10% to 17,000 units. The absolute high-flyer in the sport segment were the junior mountain and freestyle bikes, which rose, thanks to a wider range of models, over 50%. 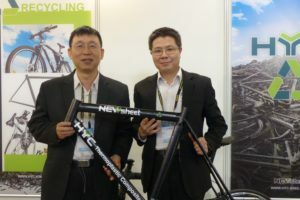 Special bikes, such as folding bikes and tandems saw the largest increase in volume. The market trend to more e-bikes and less ‘normal’ city bikes continued in 2011 as in the past years. Last year just 102,000 regular bikes were sold, a decrease of 12%. 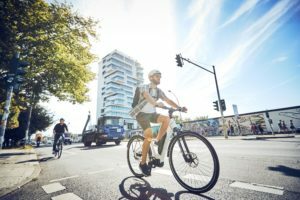 The market share of pure muscle-powered bikes in the entire city segment dropped to below a third. This decrease was of course in favor of electric bikes, which rose strongly again, though ‘only’ by 25%, or 10,500 units, to nearly 50,000. Since the majority of these e-bikes are also used in everyday life, you could speak of a second city bike segment called ‘electric’. 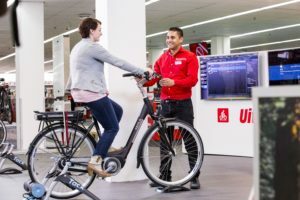 With the new sales record for e-bikes, the total fleet in Switzerland grew to over 150,000 units. That’s just over 5% of the 2.8 million bicycles circulating on Swiss roads. 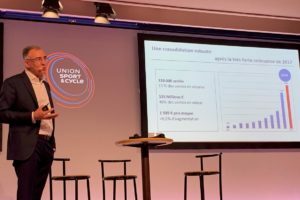 Not found in these statistics, published by the “Office Suisse de conseil pour deux-roues” (Swiss Board for two-wheelers) are, of course, thousands of new bicycles purchased beyond the Swiss border, profiting from the favorable Euro. In the summer, when the Swiss franc occasionally reached parity with the Euro, the business nearly came to a halt, especially amongst border traders. 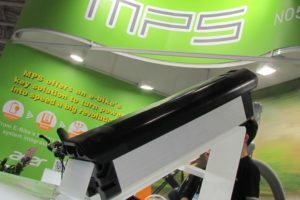 The dealers have knocked out strongly at the international distributors in more competitive acquisition prices, which were at least partially achieved in this season. Finally, the entire second-hand market that ultimately increases in importance with the continuing vintage trend (old three-speeds and semi-racers), is also missing.